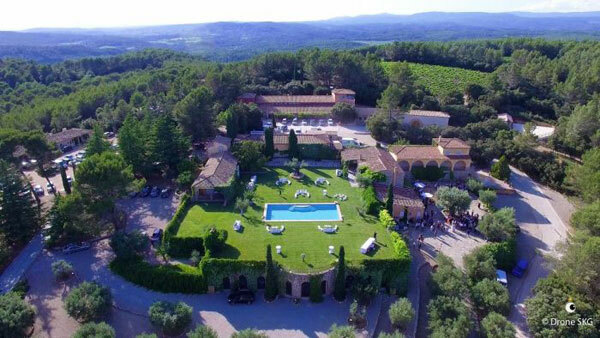 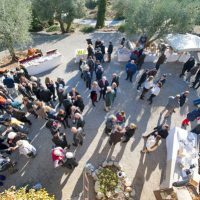 Château Rasque, prestigious wine estate in Taradeau, celebrated on January 13, 2018 the alliance of the Black Truffle gastronomy and AOP Côtes de Provence from the domain, elegant witnesses of Provence Art of living and the landscapes and terroirs of the Var. 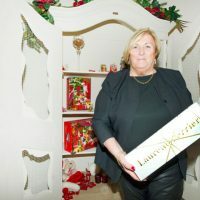 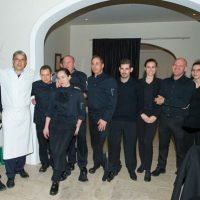 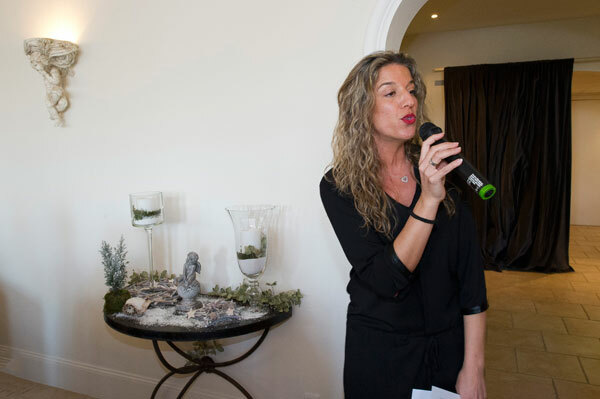 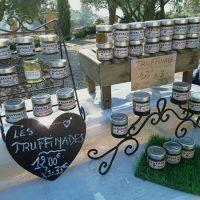 Château Rasque in Taradeau and its owner Sophie Courtois-Biancone organized on Saturday, January 13, 2018 its eighth Truffle Day, the Rabasse of the Var. 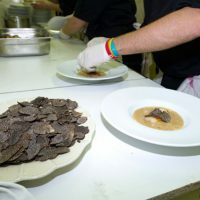 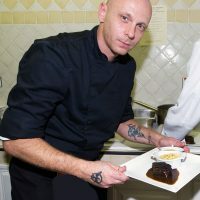 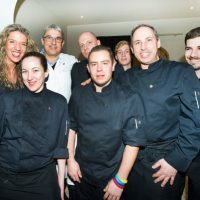 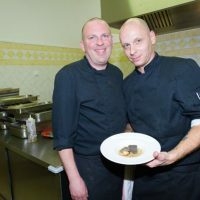 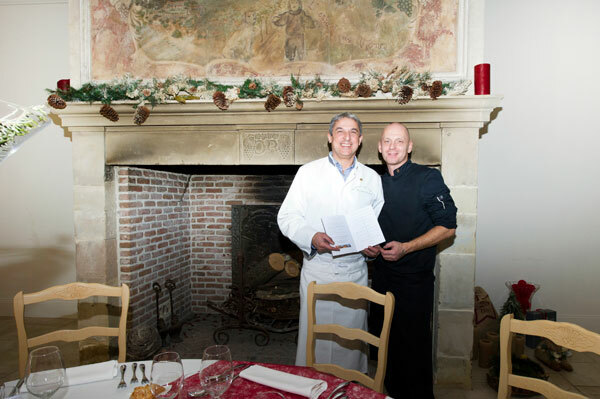 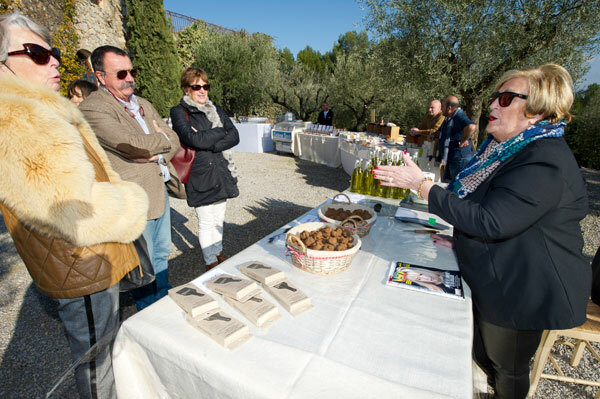 The Marché Provençal, with products from the region or elsewhere, and the truffle lunch by Christian Bœuf from La Bastide des Magnans and his chef Christophe Ciotta, celebrated the mushroom with captivating and carnal perfumes, whose finesse and unique flavor sublimates simple recipes into refined dishes, high in taste. 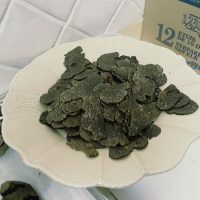 The Black Truffle, or Tuber Melanosporum, is a mushroom fed with mystery that grows underground and is harvested in winter. 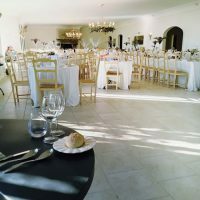 Its culture at the foot of noble trees such as oak promotes the secret exchanges with the prodigality of Mother Nature. 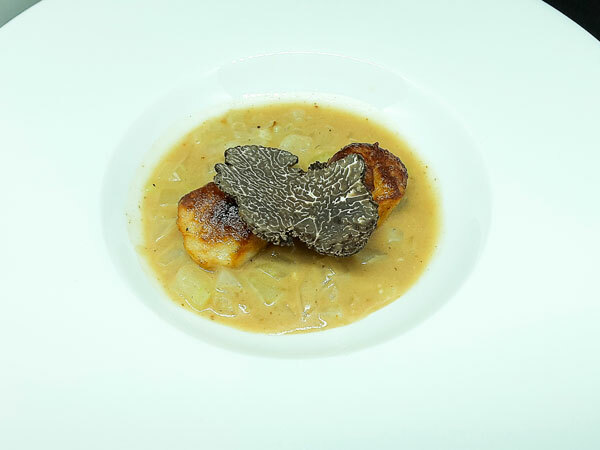 Through the landscapes that its culture is shaping and the varied and succulent gastronomy it inspires, the Truffle offers a magnificent theme of winter tourism. 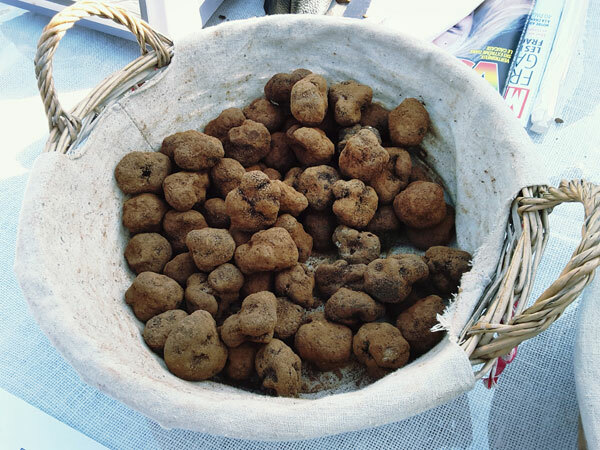 Natural truffles being threatened by drought in summer, the terroir of the Var offers ideal areas for truffle growing. 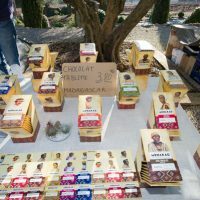 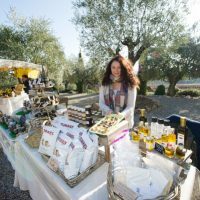 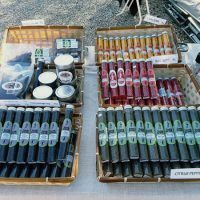 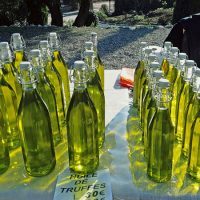 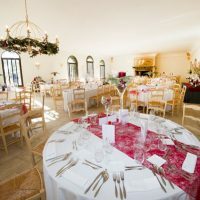 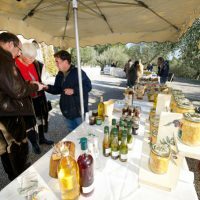 From 10 am, the Provençal market in the courtyard of the Bacchus Room et Château Rasque, proposed to the many “becs-fins” and gourmets some the fresh truffle from the Haut Var on the stand of the Maison De Santis, the famous Domaine de Majastre, as well as regional and artisanal products around the Black Diamond such as canned truffles, olive oils flavored with truffles and various truffle dishes. 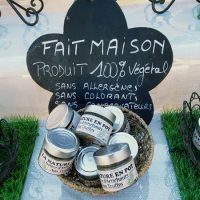 Other products, such as spices and chocolates from the distant horizons of Madagascar, nougats, honey and beautiful and appetizing delicatessen, have delighted the gourmets’ palates and filled their baskets. 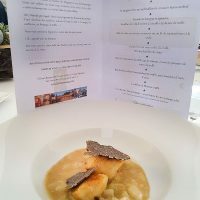 The highlight of this sunny day, under the sign of the Black Diamond and terroir products, was the All Truffle Lunch prepared by Christian Bœuf from La Bastide des Magnans and his chef Christophe Ciotta. 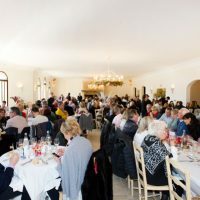 This gastronomic lunch, with its gourmand and creative feats, served in the Baccus Room of the estate, combined each refined dish with a nectar from Château Rasque in subtle food and wine pairings concocted by Sophie Courtois-Biancone. 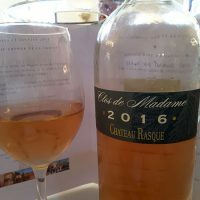 An aperitif with many and delicious appetizers on the terrace of the Château was the prlude of the meal where the pleasures of the table combined with the aromas of the soil and the vine delighted the 200 guests of this exceptional day. 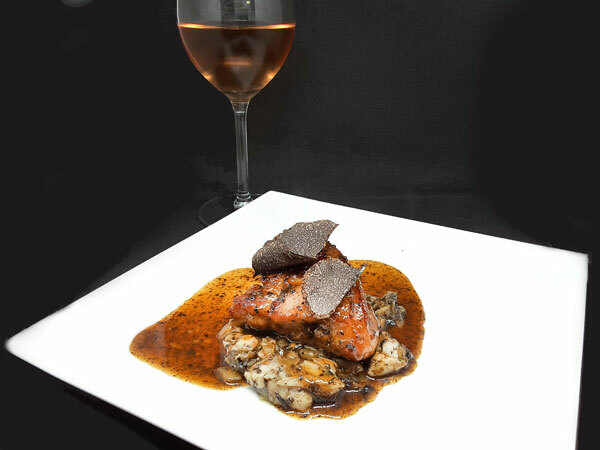 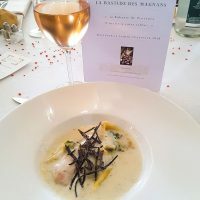 Roasted Saint Jacques on a Crustacean broth Cardinal style, accompanied by the Cuvée Blanc de Blanc – Château Rasque 2016. 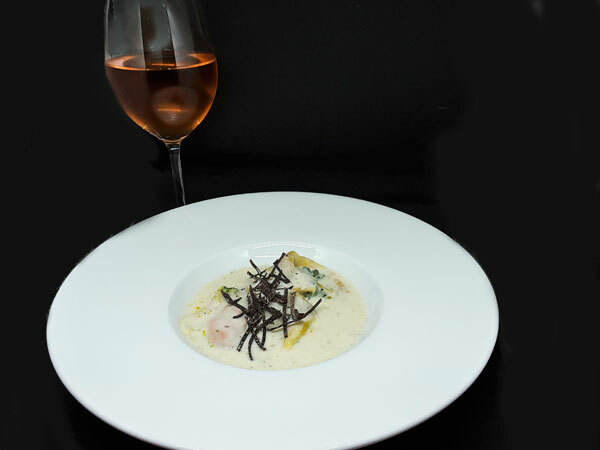 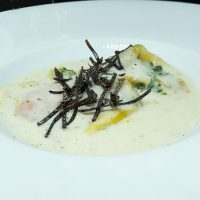 Raviole of Foie Gras and Spinach, Creamy Poultry broth with Truffle and Julienne of Truffle, accompanied by the Cuvée Alexandra – Rosé 2016. 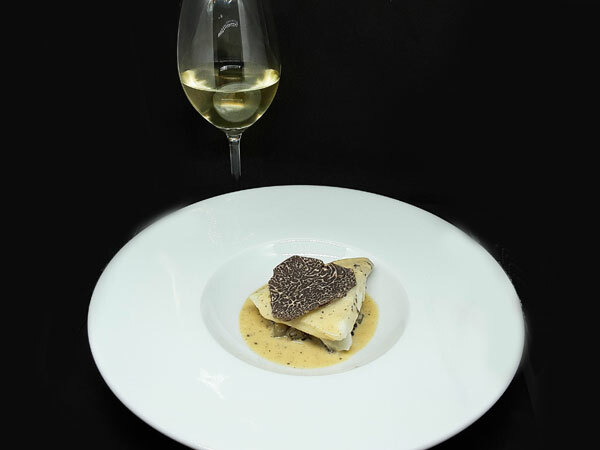 Fillet of Turbot with Beurre Mousseux on a bed of Jerusalem Artichokes with Truffles, accompanied by the Cuvée Clos de Madame -Blanc 2017. 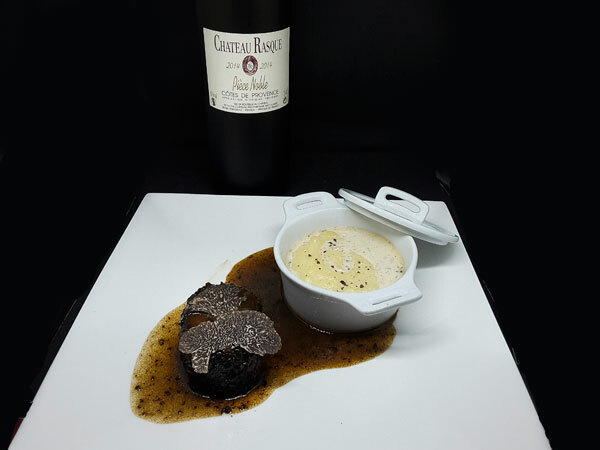 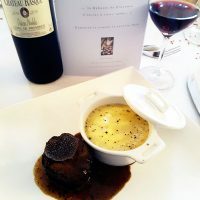 Fillet of Veal breaded with Truffle, Cooking Juice, Mashed Potatoes with Truffle accompanied by the Cuvée Clos de Madame – Red 2014. 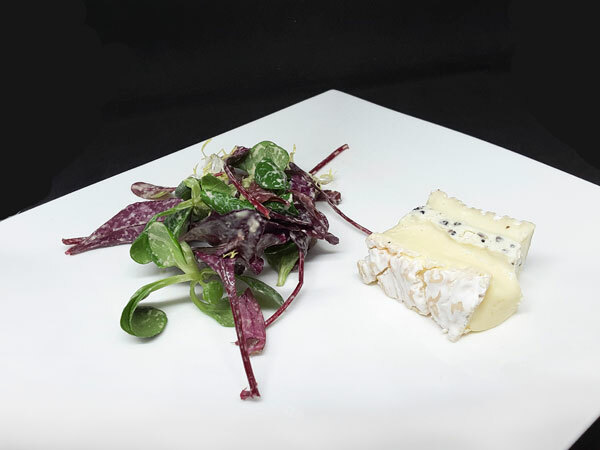 Brie de Meaux filled with Mascarpone and Truffle, Small Mesclun with Olive Oil. 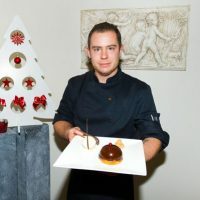 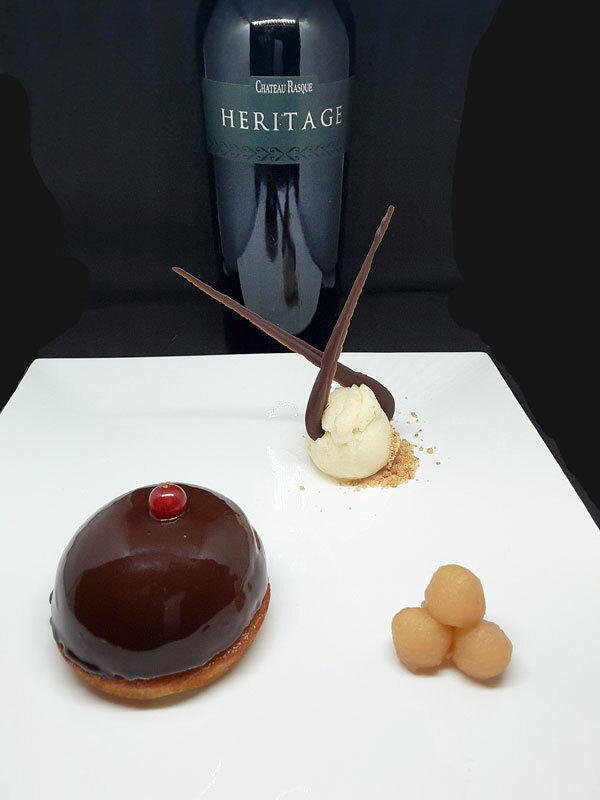 The Truffled Pastry Delight, a mousse of truffle-flavored English cream in a chocolate dress, with caramelized roasted pear balls and pear sorbet. 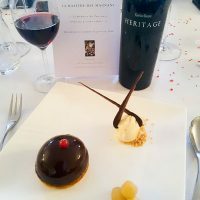 The masterpiece for pupils and taste buds was accompanied by the Cuvée Héritage. 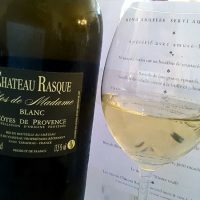 Located in Taradeau, on the road from Les Arcs to Lorgues, the vineyard of Château Rasque extends over an area of 180 hectares in a preserved nature in the heart of which traditional grape varieties flourish in a 30-hectare vineyard. 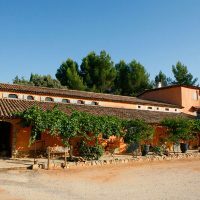 Planted full south in the rocky soil, the vines benefit from a contrasting climate, between hot sun during the day and freshness kept at night. 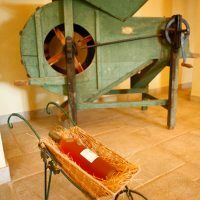 Daughter of the creators of the domaine Gérard and Monique Biancone, Sophie Biancone is inspired by her passion for her Provençal terroir to produce very elegant, powerful and well-balanced AOP Côtes de Provence wines, whose quality is due to the manually harvested grapes and modern winemaking and aging equipment. 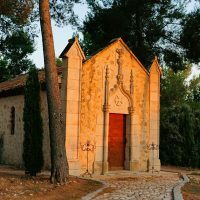 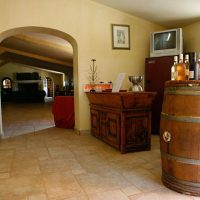 Sophie Biancone also supervises the Clos Jasmin at the foot of the Sainte-Victoire mountain and the Hermitage de Saint-Pons in Figanieres. 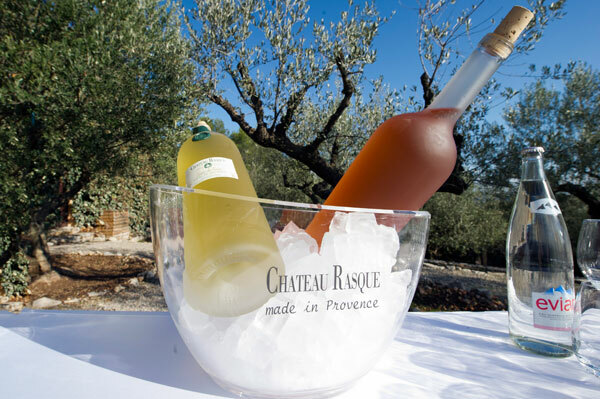 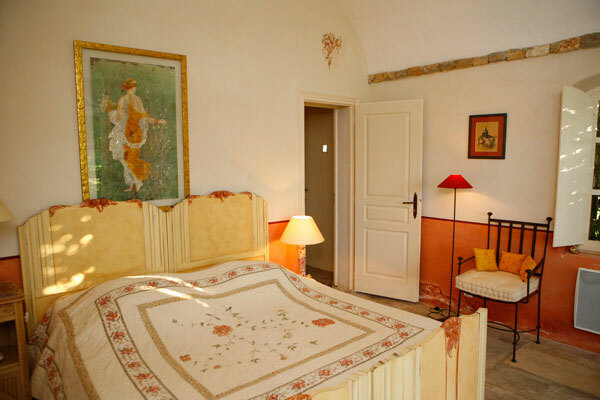 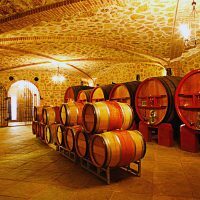 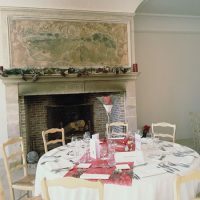 Château Rasque also welcomes wine-tourism tourists in Provencal-style “chambres d’hôtes” and offers a “hand-stitched” service to have the visitors discover gorgeous landscapes of the Var, like the nearby Gorges du Verdon, and the exciting activities that can be practiced there.